While the number of primary care physicians (PCPs) in Missouri has increased from 5,990 to 6,625 in the last four years, there’s still a shortage in rural parts of the state: rural Missouri currently has 55.9 PCPs for every 100,000 rural residents, compared to 139 PCPs for every 100,000 urban residents, according to the 2018 Missouri Hospital Association report Primary Care Physicians: Missouri Workforce Update. To train and retain the next generation of providers, the University of Missouri (Mizzou) School of Medicine created a pipeline program in 1995. 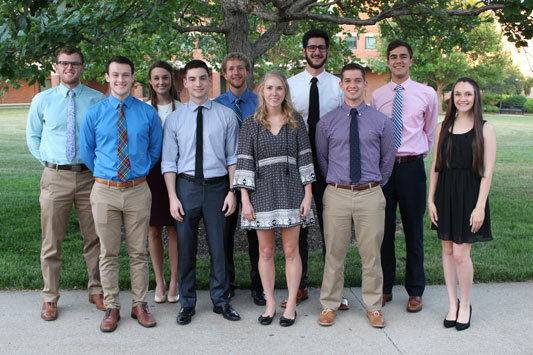 The MU AHEC Rural Track Pipeline Program has four distinct parts: the Bryant Scholars Pre-Admissions Program, the Rural Track Summer Community Program for second-year medical students, the Rural Track Clerkship Program for third-year students, and the Rural Track Elective Program for fourth-year students. Pre-admitted Bryant Scholars Class of 2022. Mizzou collaborates with other schools in the state to expand training sites and increase the number of preceptors so that “no student is left out or not able to be trained,” said Kathleen Quinn, Associate Dean for Rural Health at Mizzou. The new training sites (Branson, Hannibal, Osage Beach, and Sedalia) join West Plains, St. Joseph, Sikeston, and Cape Girardeau, bringing the total number of current sites to eight. Mizzou’s programs include a lecture series, rural clerkships, and a community integration project. The lecture series brings together pre-admitted undergraduate and medical students as well as residents, faculty, and health professionals to discuss rural issues. About 40 people attend each quarterly event. Younger students especially benefit from the lectures, since they learn about rural medicine before their first clinical rotation. Read more about the Rural Medical Lecture Series – part of the University of Missouri School of Medicine Rural Medical Services Grant – in RHIhub’s Rural Health Models & Innovations. Lecture topics have included telemedicine and what rural students can expect as they go through college, medical school, and residency. One lecture guest was a rural orthopedic surgeon who helped dispel myths about the viability of specializing in rural areas. Quinn remembers one “heart-wrenching, eye-opening” lecture about maternal health in rural Missouri, where barriers to care include poverty, substance use, and closing obstetric (OB) units. However, she believes that the presenters were able to balance the harder-to-hear information with positive news of the ways they’re addressing these barriers. “Hopefully the outcome is ‘Wow, I have a calling’ instead of ‘Wow, that is overwhelming,’” Quinn said. You could tell that they felt like they were serving rural: not just doing a job but actually helping their communities and helping their patients. Mizzou has seven clerkships, which, depending on the training site, are available in rural communities: family medicine, internal medicine, child health, OB, psychiatry, neurology, and surgery (general or specialty). Offering clerkships in general and specialty medicine “casts a broader net in gaining physicians in rural areas,” Van Dyne said. Students can apply for three in addition to a month of surgery, so they can spend a total of 6.5 months in rural communities. A rural clerkship exposes students to a wider range of medical conditions and patients than a clerkship at the academic health center. Mizzou students complete a patient log to keep track of patient demographics and conditions. Students in a rural clerkship tend to meet their requirements (meeting with a certain number of patient types) between the third and fourth week. For example, Quinn said, some students go eight weeks at the academic health center without being first assist in delivering a baby while students in Sedalia might assist in 22 deliveries. 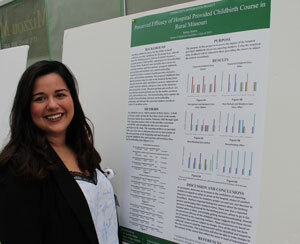 Quinn added that most students have a positive experience with their clerkships. Any complaints she receives are usually minor, like low internet speeds in the houses or students having to share a room. Quinn remembers one student who, despite signing up for the program, was vehemently against going to one rural community for a clerkship. Quinn said the student made “biased remarks about the area being backward and she swore the student house was haunted.” But her experience there changed her attitude; she ultimately asked program coordinators if she could do her other clerkships at that site. Program coordinators found that some students were feeling isolated in their rural clerkships, as they only left the student house for work or errands. To get them involved with their community, the community integration project assigns students to identify and address a health need and then present on their findings. A student presents her Community Integration Project findings. Students can create a new project or build off a previous student’s work. Students receive four hours out of clinic each week to work on their projects, and they’re assisted by staff from the local hospital, clinic, or AHEC. Past projects include presentations at schools and colleges about topics like hygiene, sun safety, and sexually transmitted infections. While some students complete conventional projects like coordinating a 5K run or a food drive, other students have created exercise programs for older men, who are less likely to attend group classes like yoga. One student educated the town’s PCPs about domestic violence and provided information about local resources in the waiting room. Another student taught barbers how to identify lesions on their clients’ necks and scalps and refer these clients to their PCPs. Since the town doesn’t have a dermatologist, the PCPs can use tele-dermatology to connect patients with a specialist. Mizzou’s 2015 issue of Rural Track Pipeline Program magazine reports that the program produced 577 physicians in its first 20 years. According to Quinn, since 1997, 73.6% of the pre-admitted students have stayed in Missouri to practice. Of these students, 54% are in rural communities. In the pipeline program, 54.4% of participants are practicing in the state, with 36.7% of them in rural communities. Kenney, the pediatrician, can speak to the success of this pipeline approach. She grew up on a farm near Kirksville, a town of about 17,500. In high school, she joined an AHEC program for students interested in healthcare. The program helped kids arrange shadowing opportunities with healthcare professionals and even attend healthcare workshops. At the University of Missouri, Kenney applied for the Bryant Scholars Pre-Admissions Program. She chose Mizzou partly because the university hospital is the referral center for her hometown. “It was cool to be able to train in the hospital and the center where I refer a lot of my patients to now,” she said, adding that her education gave her a better understanding of the referral process and available resources. To create a similar program, Quinn said it’s important to research Health Professional Shortage Areas in your state and understand why these disparities exist. To do this, Van Dyne recommended building a network to complete a gap analysis. If your SORH is not equipped for this type of project, you could partner with a university to do this work. 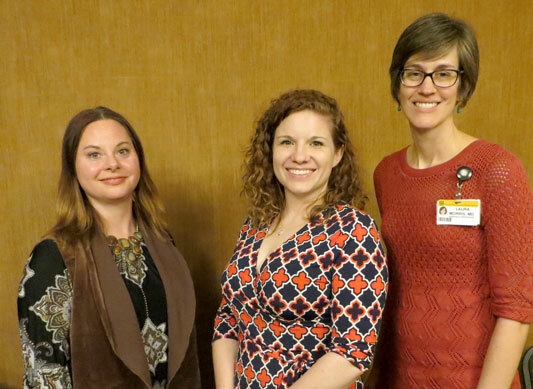 Melissa Van Dyne (left) from the Missouri Office of Primary Care and Rural Health was joined by physicians Fallan Mayabb and Laura Morris in lecturing about maternal care in rural Missouri. Program coordinators start new preceptorships by setting up a call with the hospital’s CEO, CFO, CMO, and physician recruiter. While Quinn said the hospital administration already knows about provider shortages, they’re surprised to learn about the program’s successes. They see where they fit in the pipeline. They take ownership of it. After the call, program coordinators visit the site and meet with administration as well as any physicians who are interested. There, they discuss the medical school’s curriculum and the hospital’s responsibilities. Once site coordinators have determined that students can be scheduled for three clinical clerkships, the clerkship directors meet with the providers to discuss specifics like learning objectives. Some physicians hesitate to become preceptors, worried that they’ve been out of medical school for too long. But Quinn said many of them enjoy preceptorship, since they get to pass down their knowledge and reinforce what they’ve learned through answering students’ questions. In addition, the clerkship is a useful recruitment tool, as students can picture themselves in that facility and build relationships with the staff. This entry was posted in FORHP Grants in Motion and tagged Health workforce education and training, Health workforce pipeline, Missouri on December 5, 2018 by Allee Mead.